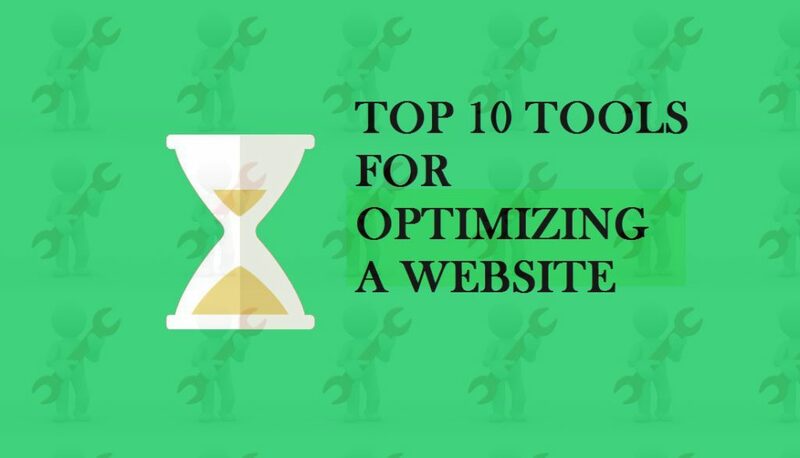 Today we are going to tell you about 10 best tools for optimizing any website or blog. Usually i share tips&tricks about PC,Softwares,android etc. But today i just added a new category to my blog for blogging tips&tricks. Because many of my blog readers have asked me to share blogging tips&tricks also. So i will share what i have learned in my blogging journey with my readers and help them in understanding all the basic concepts in details. I love to explain all the tips&tricks in details, and that’s what my readers like about my blog. So i am gonna share blogging tips&tricks on my blog with my readers for better tips&tricks to improve their blog performance. In my first article about tips&tricks of blogging, i will share top 10 tools for optimizing a site. So let’s see the top 10 most important tools for optimizing your blog or website. The tools we are gonna share in this article are very important and helpful for any blog or website in terms of seo. So let’s have a look on top 10 tools for optimizing a site or blog. It is one of the best Tools for Optimizing a site and must have tool for any blogger, the google analytics tool tracks and reports the traffic of a website. The Analytics tools was launched in November 2005 by google, and currently it is the most using analytics tool in the world. Google analytics helps user to know audience of their blog, browsers, devices, demographics, traffic types etc., which used to visit their blog. Google adwords keyword planner tool helps user to get ideas for keywords for their contents, it also show the volume of an specific keyword by country, Keyword competitions and ad group ideas. Millions of bloggers are using google adwords daily to select the best keyword for their post and competition for that keyword. Google webmaster tools or Google search console is tool provided by google for webmasters to check indexing status and optimizing their websites for search traffic. The tools allows webmasters to submit a sitemap for better indexing their website contents by google bots. The Google Search Console tools also provides many features to the webmaster such as Targeting an specific country, Demoting site links, Analyse data structure etc. Structure data is way for search engines to make sense of content in your HTML, all the search engines including google and bing created a structure data standard which is known as schema.org. If you don’t have knowledge about it then you may have difficulty in creating an schema for your website. That’s why many developers had made WordPress plugins for creating schema. Also you can create schema on website like schema creator. After you create schema for your site, you can easily copy and paste it into your site. Sitemaps allow a webmaster to inform search engines about URL on a website for crawling and indexing into search engines. Sitemap is an XML file which included URL of a website, user can upload it to google search console or other search engines for fast crawling of contents. There are a lot of wordpress plugins and website available for generating a sitemap. I will recommend you to use Google XML sitemap generator plugin for creating a sitemap for your website. Copyscape.com is an online tool for checking content of a website and matching them with other sites to know whether content are copied or not on your site from other sites. There are other softwares and websites also available on web for analyzing your website for copied contents. If you want to better optimize your website then it is mandatory for you to optimize your content as well as content pictures. An article without pictures does not look attractive, every article needs some pictures which make it meaningful and attractive. In all the pictures user need to add alt text and caption for optimizing images for search engines. I know it is tough to add alt text and caption for all individual images, that is why many wordpress plugins are available for automatic including alt tags into the pictures. I will recommend you to use Seo friendly image plugin for wordpress, it will automatically add alt tags and caption in your content pictures. If your website have one or more broken URL, then it will affect your website badly. But it is easy to know which link on your site is broken or not, to know all the broken links in your website you can use plugins. Broken link checker is an famous wordpress plugin which will collect all broken links on your website and inform you by a mail. So you can easily fix them and optimize your website for search engines. Keywords are the backbone of any website, if you target a good keyword then your site will have a lot of benefits from it. Many users don’t use keyword tools as they think these are only available for premium members, but for your information i am telling you that you can use wordstream keyword tool to create a good keyword for your post. Robot.txt checker is an validator that will analyze the syntax of a robot.txt file to verify the format is valid or not. For analyzing the syntax of robot.txt file you can use plugins or online tools, which will help you to better optimize your website. So above we have told your the best Tools for Optimizing a site. If you like the article then please don’t forget to share it with others, because “sharing is caring”. We will continuously share other cool blogging tips for our readers so stay connected with us for more cool tips&tricks of blogging, technology etc. And also don’t forget to connect with us on social media, join us on facebook or twitter and get regular updates in the news feeds.